Are you looking to build a home near the State College area? 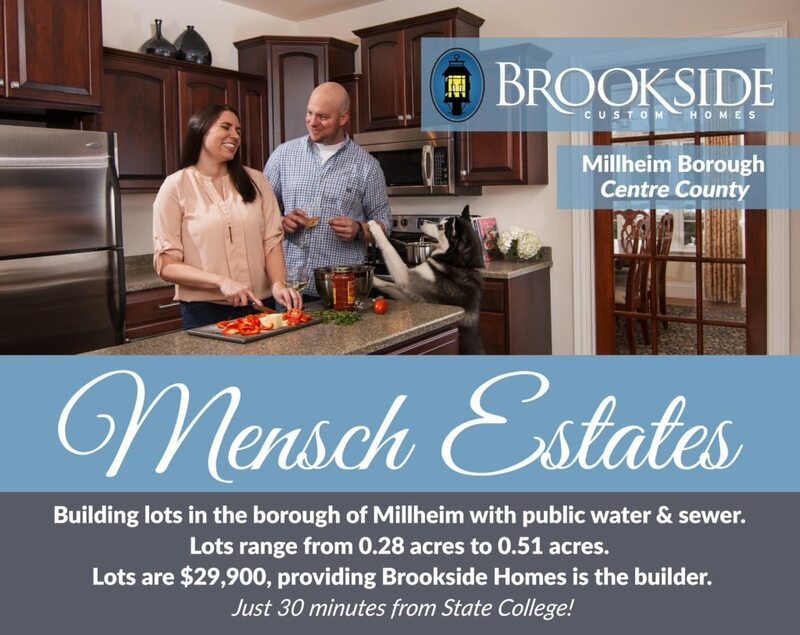 Check out our Building Lots in the Borough of Millheim. Ideal building lots in the borough of Millheim with public water and sewer ranging from .28 acres to .51 acres. 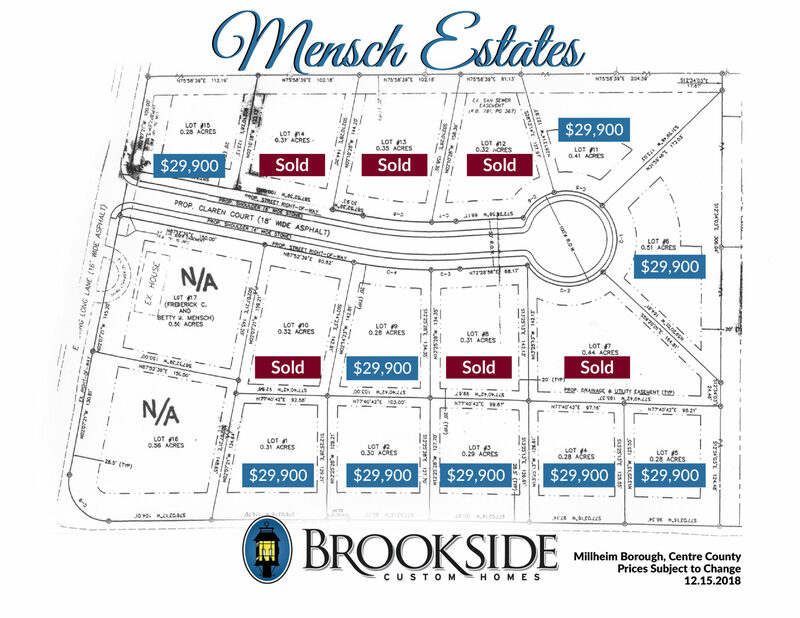 Lots are $29,900 providing Brookside Homes is the builder. Just 30 minutes from State College.